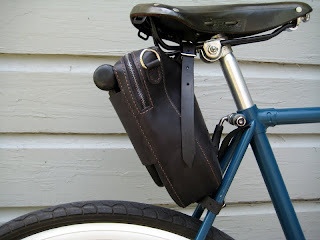 Here is a new cycling bag that I've been working on lately. It's meant to be as versatile and useful as possible, will fit on most bikes, and allows one to carry their u-lock, essential tools for roadside repair and a few personal items. 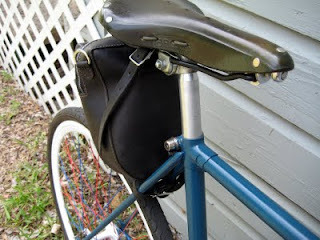 It attaches to the seat rails of any saddle (no bag loops required!) 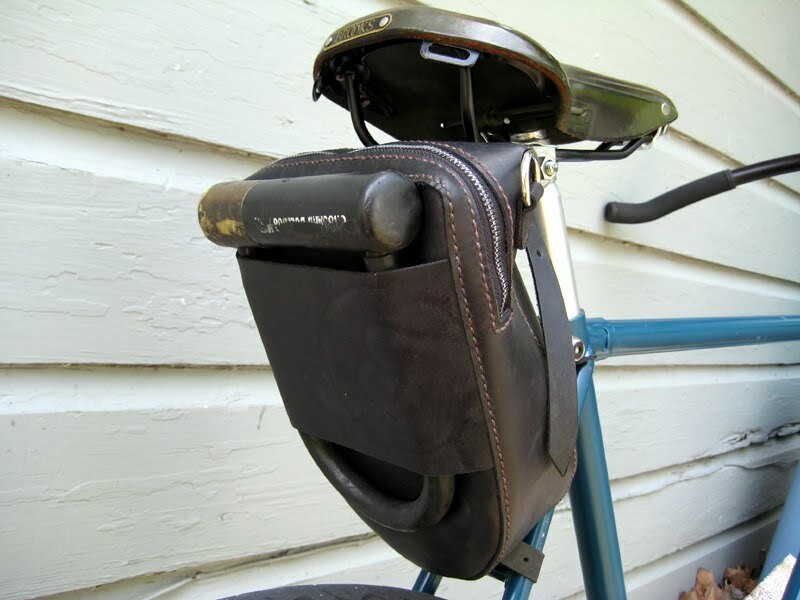 and sits far enough back that it won't brush against your thighs while pedaling. 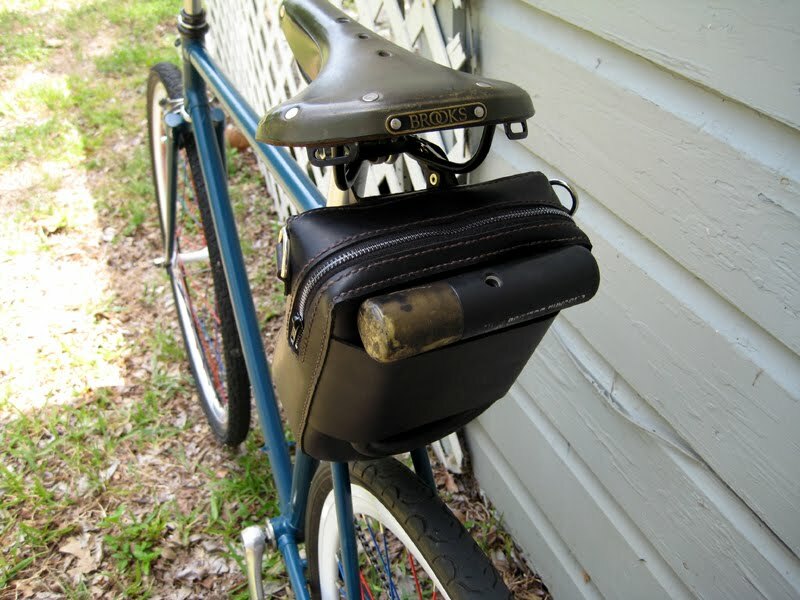 As this one is intended for myself, it was constructed to hold my u-lock, which is a smaller one. 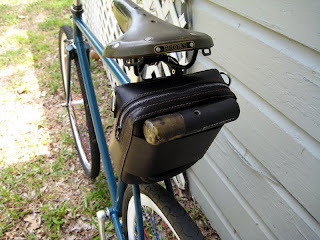 It would be a simple thing to modify it to allow for a larger lock. Both of the straps for attachment to the bike are removable and a shoulder strap can be attached. It can then be carried like any other shoulder bag. 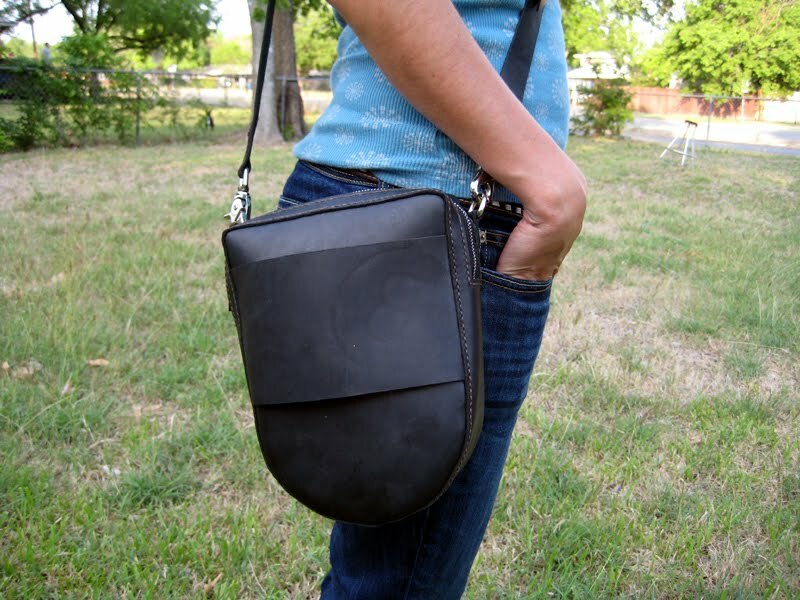 This prototype I've made in a dark gray utility hide, but it could be constructed out of many different types of leather. 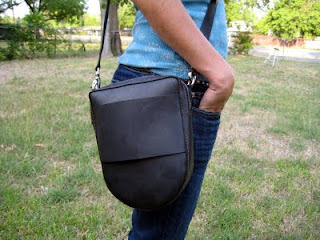 It could even be made from veg-tanned leather, so it could be tooled and personalized. This is everything I managed to cram into it. 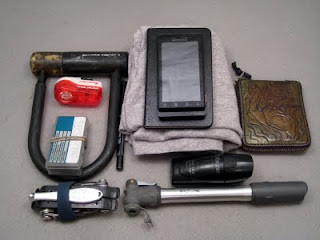 The bike lock goes in the outside slot, and the inside will carry front and rear lights, a multi-tool, a patch kit, air pump, notebook, pen, wallet, phone, the adjustable shoulder strap (not pictured) and a folded up spare shirt. 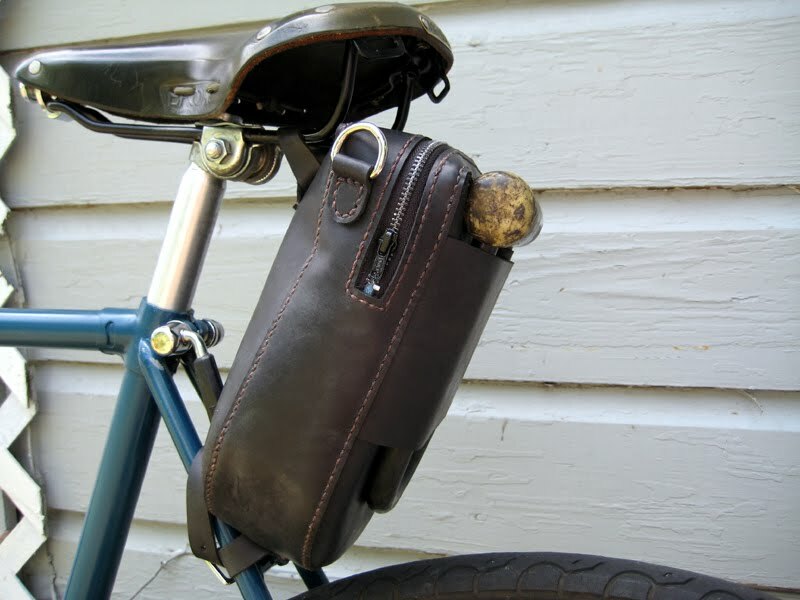 There's probably room for a granola or energy bar too. What do you think? Is there some other feature that it should include? Would you carry this many items on your typical ride, or less/more? This is just a prototype, so future versions will include a strap for rear light attachment and possibly another attachment point for the saddle strap, so the bag could be raised higher than what's pictured. Please let me know in the comments what you think. I can't wait to see how it works with a bigger lock, and I think the light attachment is a great idea. 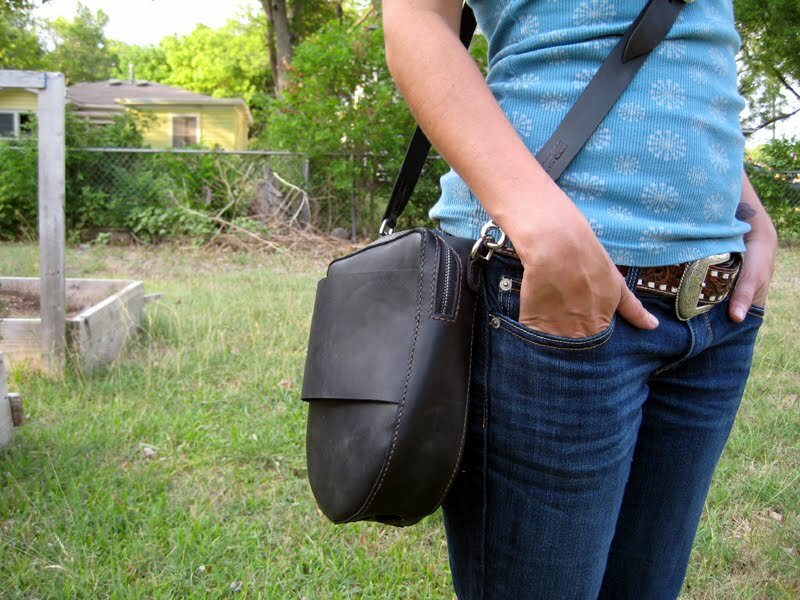 Something else I'd really appreciate is a loop inside with a snap for my keys, so they aren't at the bottom of my bag all the time.